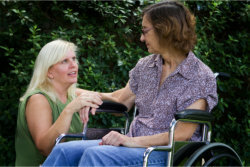 We provide services to eligible patients under Medicaid programs. Seniors from low-income families can now enjoy being in the company of their loved ones as they recover or grow-old receiving quality home health care services right at their very home. For more information on how to start taking advantage of this program, you may call us at 703-945-1565 to set an appointment for a more comprehensive discussion. Stay up to date by following us on our Social Media pages.